My name is Danielle Yerushalmi and I am currently a design intern at the Oglesby Union Marketing and Communications Office for the spring semester. So far my internship experience has been so great. As a design intern I am responsible for any projects I am given by my art director. I have worked on were various posters, flyers, pamphlets, maps, logos and promotional items for the Union. 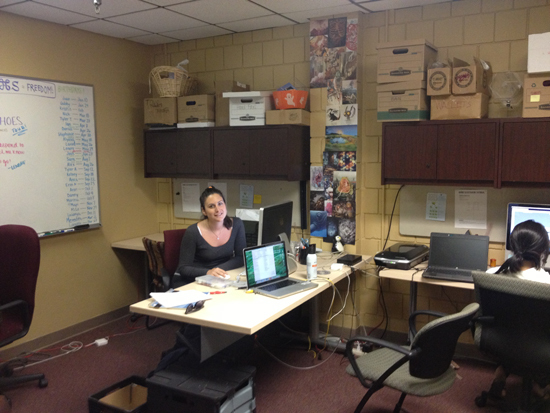 The Oglesby Union Marketing and Communications Office usually takes on jobs for certain departments and groups on campus, the union itself, and even staff requests. As an intern I am also responsible for “posting”, this is a task that consists of going around campus and putting up certain posters approved by our office. I have learned so many useful design techniques and have perfected my design processes with the help of the staff at the office. Prior to starting my internship I had no real knowledge of what it really is like to be a graphic designer. I always wanted to know the beginning to end process to a requested design by a client but never really knew where to gain that knowledge. I also had no idea what a proper portfolio should look like. However, working at the marketing and communications office has improved my self confidence as a designer and my knowledge of client relations and their requests. The staff at the office is truly amazing. Everyone is willing to help one another in becoming better designers. I also learned a lot about perfecting my resume and portfolio and learned about the specific things employers look at during the hiring processes. This internship has really helped me become more comfortable with my future as a graphic designer and is still assisting me figure out myself as a designer. 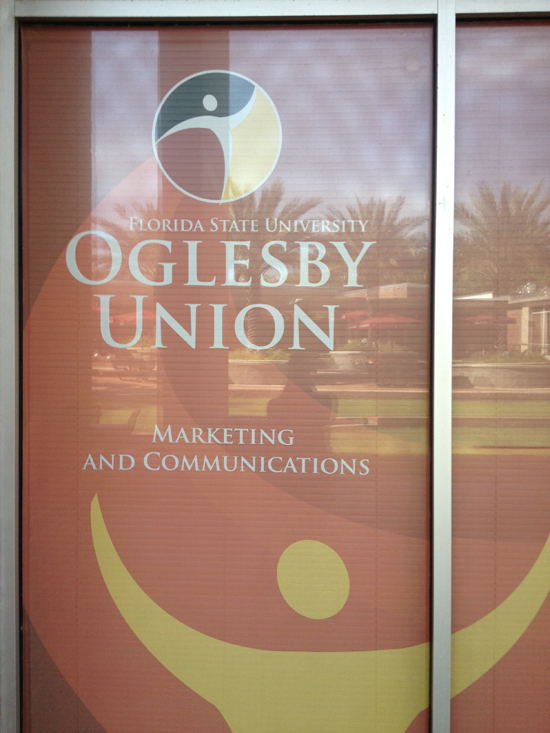 I am so glad I have been given the opportunity to work at the Oglesby Union Marketing and Communications Office and with all the people who are a part of it. I recommend to every single design major to apply because the experience you get at the office does not compare to the experience you get in a classroom.